A meeting of minds can be a powerful thing, especially in the #Tech4Good community. And in case you're not aware, TechSoup supports a global network of nonprofit technology meetups called NetSquared. With 120 chapters globally, there's probably one near you. You can probably call me a superfan because I've already started two groups, first in Baltimore and now in Tampa Bay. Hosting a NetSquared group is simple, but the results are inspiring. Each group schedules regular events that offer technology education and free technology help where volunteers help nonprofits achieve their technology goals. The events are free, and they welcome everyone who wants to help civil society do more with technology. Starting a NetSquared group is as simple as finding a venue and coming up with topics. And if you're interested in starting a group of your own, I'd like to share some tips with you — tips to help your group get off the ground and thrive. Select a venue that is central, accessible, and has good parking options. You might feel intimidated asking for a donated space, but local companies will often host these events pro bono. Other popular sources for venues are your local library, the boardroom of a local nonprofit, or a coworking space. We are incredibly lucky to have support from many different organizations, including tech consultants, breweries, colleges, and credit unions. You can also alternate your venue so you don't overburden your host and as a way to mix things up from time to time. NetSquared hosts get a free subscription to Meetup.com, a powerful platform for managing events, finding people who are interested in attending, and building community. Meetup makes recruiting technical volunteers much easier because they're oftentimes already members of the platform. In fact, at least 25 percent of our technical volunteers found us from the email notifications that Meetup sends out after you create an event. Meetup also makes it easy to manage your community. 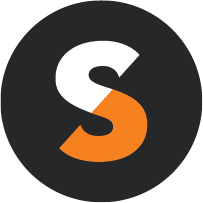 It allows you to schedule events, communicate with attendees (via emails and event-level discussions), upload pictures, share the event via social media, and recognize sponsors. Successful events feature a mix of nonprofits and technical volunteers — but at first you won't know all the nonprofits and techies in your community. However, by building a network of partners who can help with event marketing, you will be able to find the right attendees. 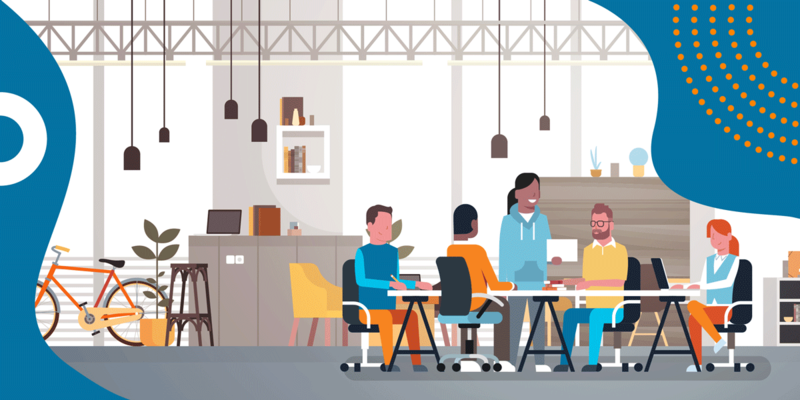 Meetup is your first tool for finding technical volunteers, but you will also want to partner with tech incubators, university classes, and the organizers of technical meetups. Techies are eager to help nonprofits, but they need to be invited to participate. Where can you find nonprofits? My first tip is to partner with a local state nonprofit association. Take their leadership out for coffee and get them excited about your #Tech4Good mission. Ask, "How can I share this free resource group with the nonprofits you support?" Other potential partners include the Young Nonprofit Professionals Network, the Association of Fundraising Professionals, and networks like the YWCA and United Way. Building your networks will ensure that you have the the right people in the room for an inspiring night of #Tech4Good networking and learning. NetSquared groups are driven by our members' needs — so ask them what they want! 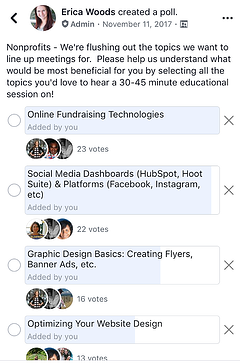 Send surveys with a list of common technical challenges and ask direct questions during meetings, such as, "Would a Google Ad Grants session be helpful?" The NetSquared manual can also help with ideas for event topics. 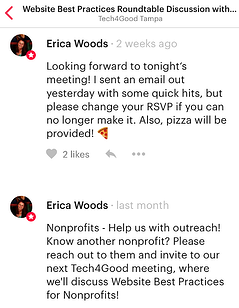 You'll want both nonprofits and techies in the room at your events. It isn't a perfect science, but we have always tried to have double the volunteers as the number of nonprofits at each event. This ratio works: I've now co-organized 40+ events and can only remember two scenarios where we had a nonprofit with a technology question or issue that couldn't be addressed by the volunteers we had in the room. RSVPs are one thing, but you want people to actually show up! Engage with your members before the event, or you'll get back-outs and no-shows. Ask questions on Meetup leading up to the event (see example below). Send a reminder email the day before the event. Welcome new members and ask how our group can help. Always document your event. Attendees will love it, and it's also a great way to promote your upcoming meetups. At our last meeting I snapped a bunch of pictures using my phone and then turned them into a collage video using the iMovie app. Now I have content to share on our Facebook group and on Twitter. We also encourage nonprofits to share on social media how attending the event helped solve a technology problem. Once they tag us, we retweet and cross-post their content as well. Here are some examples of how this can be done. Hosting a NetSquared meetup is the best volunteer job ever. It's your chance to share your skills, grow your reputation, and build the digital skills of the nonprofit sector. We need you! Erica Woods is the co-organizer of Tech4Good groups in Baltimore and Tampa. She had input on this post from Naomi Lantzman, Tampa Tech4Good group founder and co-organizer, and Steve Brauner, Tampa Tech4Good group co-organizer. Hear about Finding and Cultivating Local Tech Expertise and Support for Nonprofits and Libraries. Find out how to Get Your Event to Pop, Not Flop, with Social Media. Read what London's NetSquared meetup considers the best productivity tools — Part 1 and Part 2.